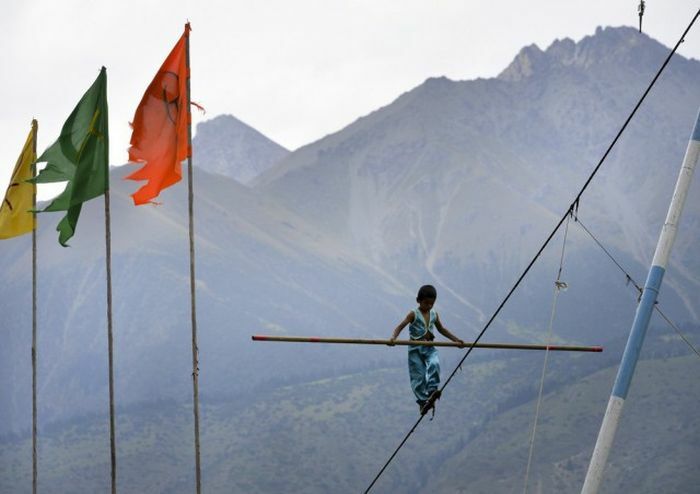 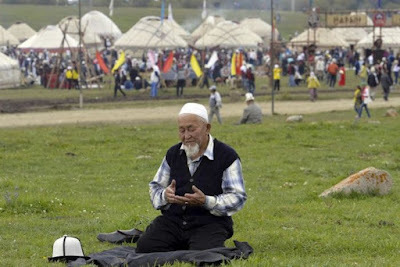 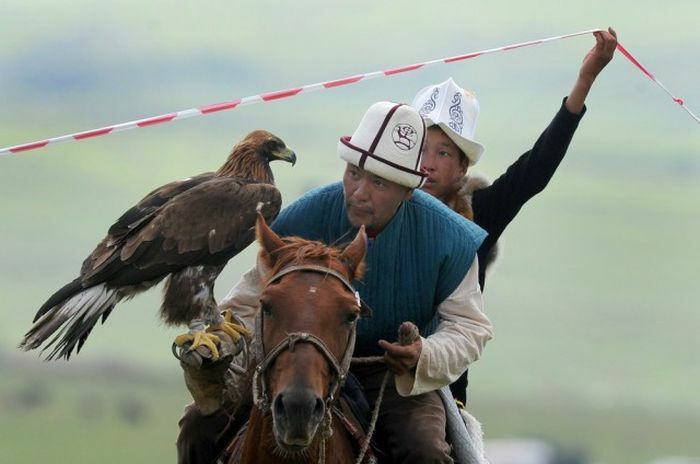 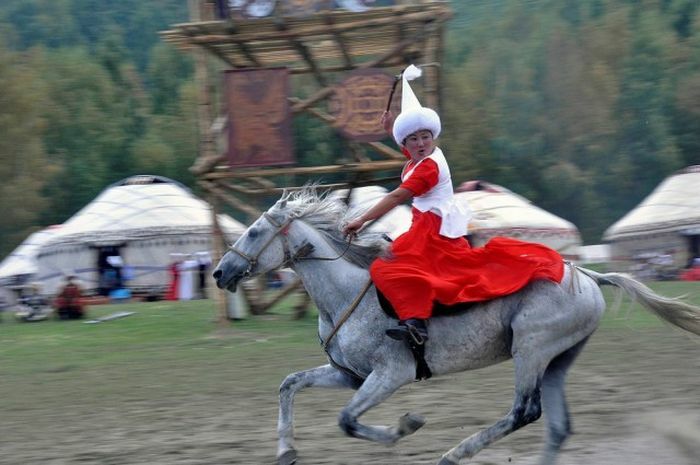 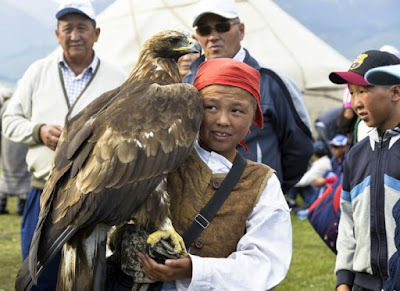 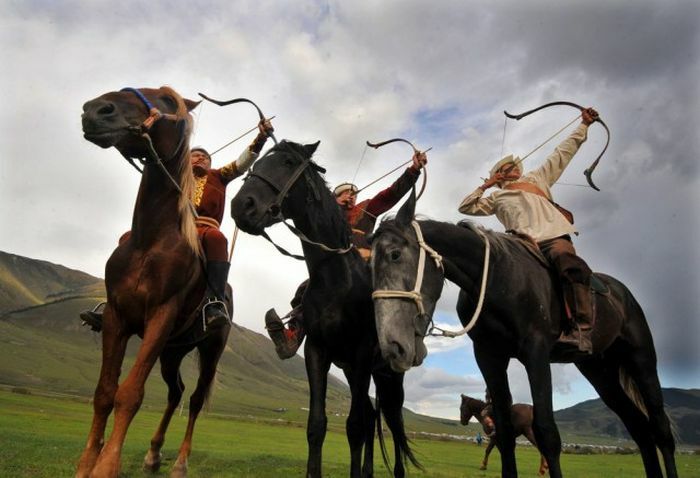 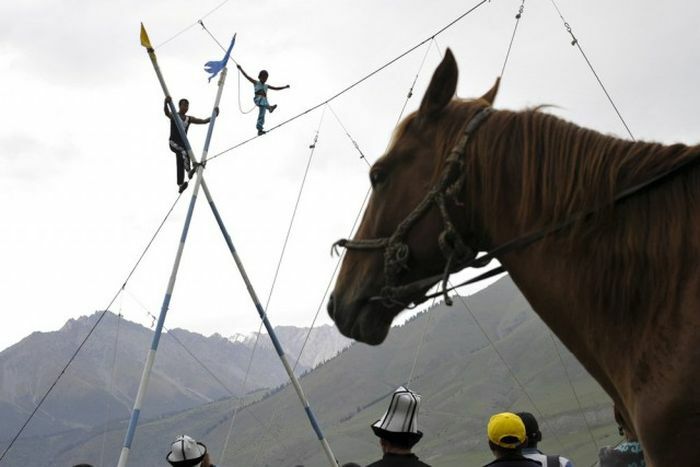 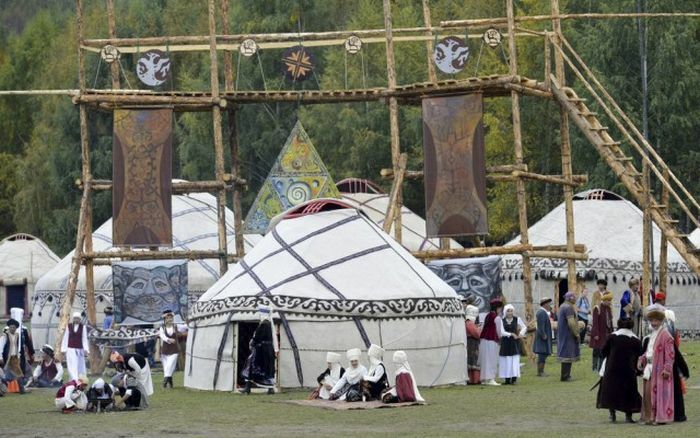 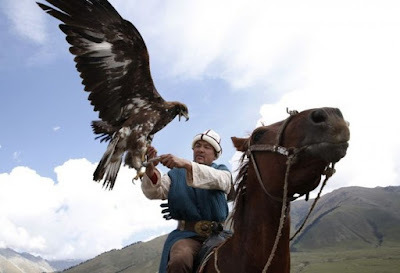 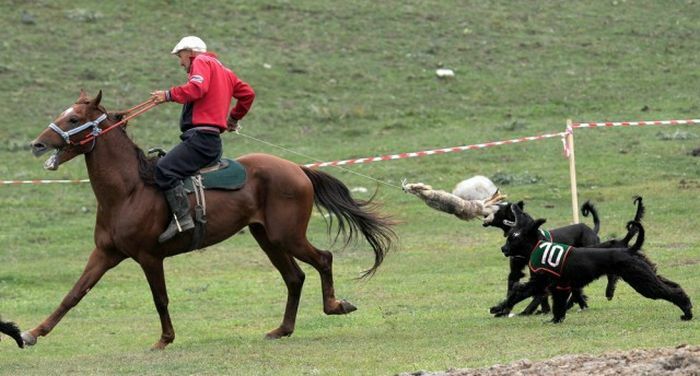 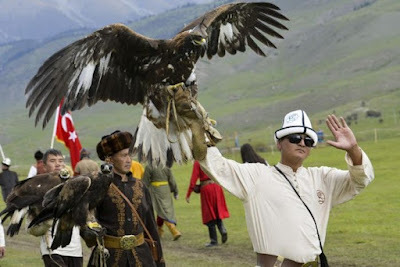 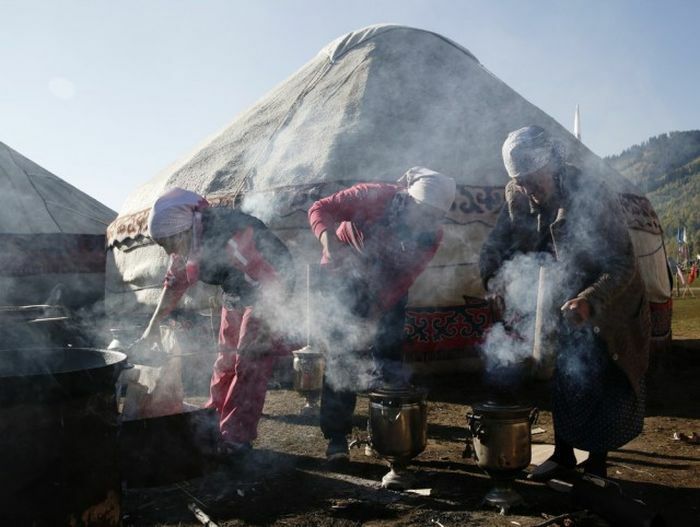 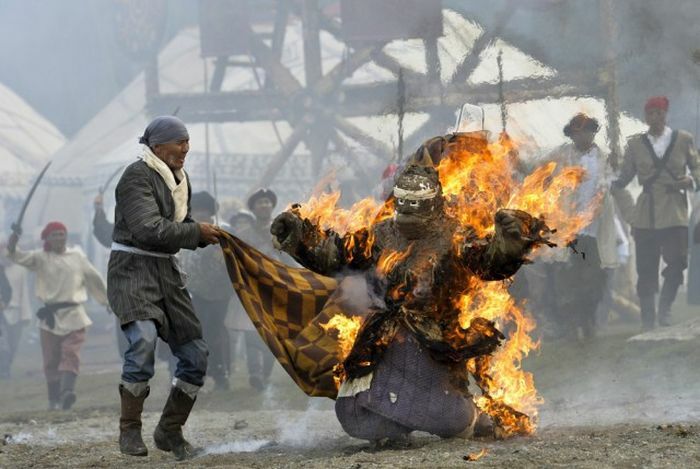 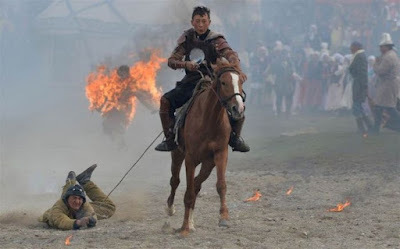 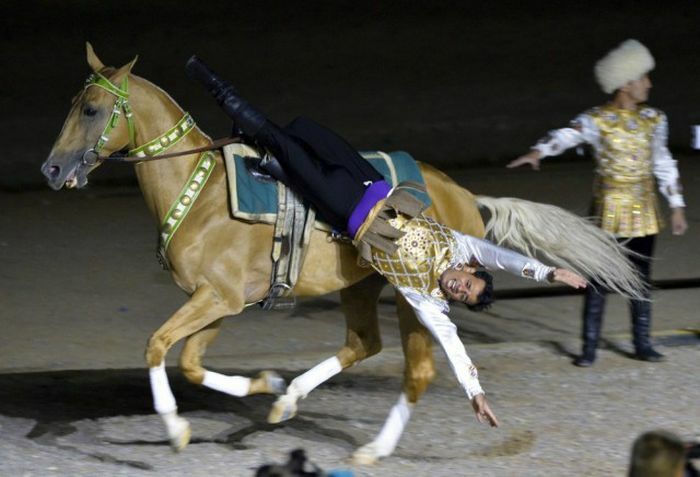 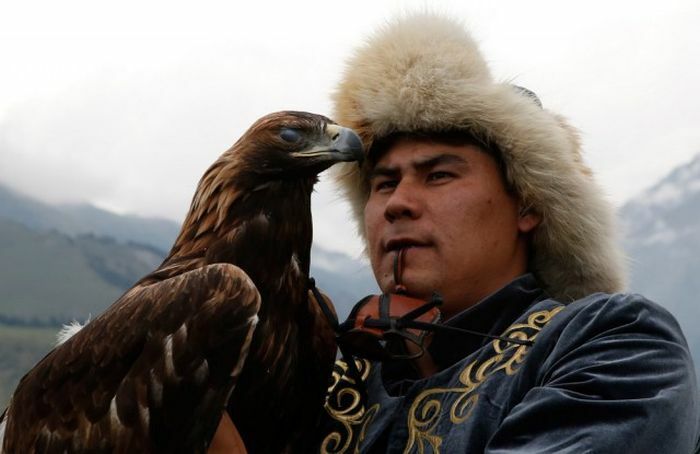 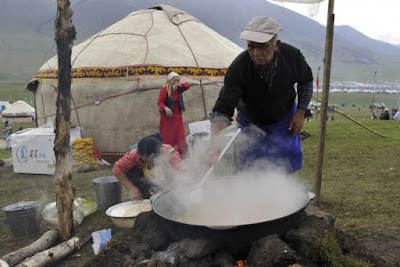 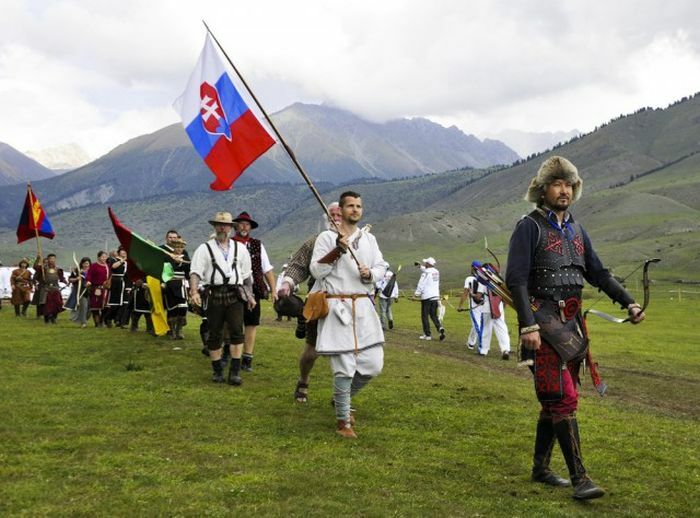 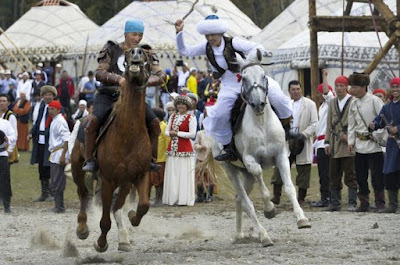 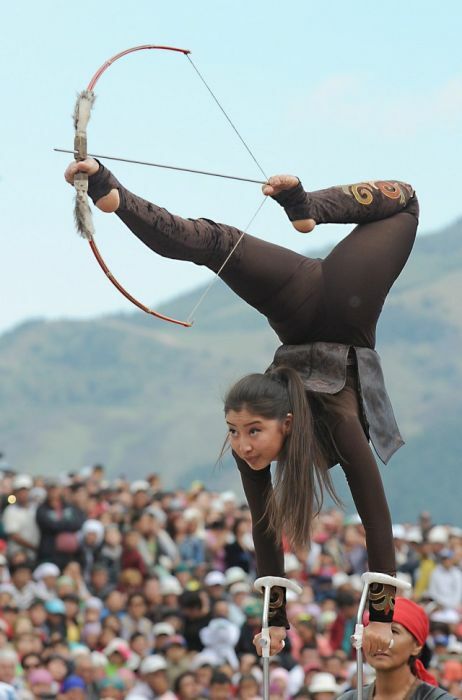 The World Nomad Games are a celebration of Central Asian nomadic heritage. 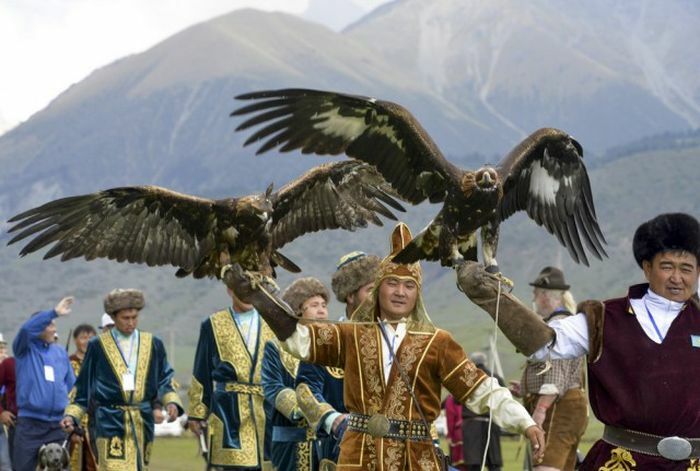 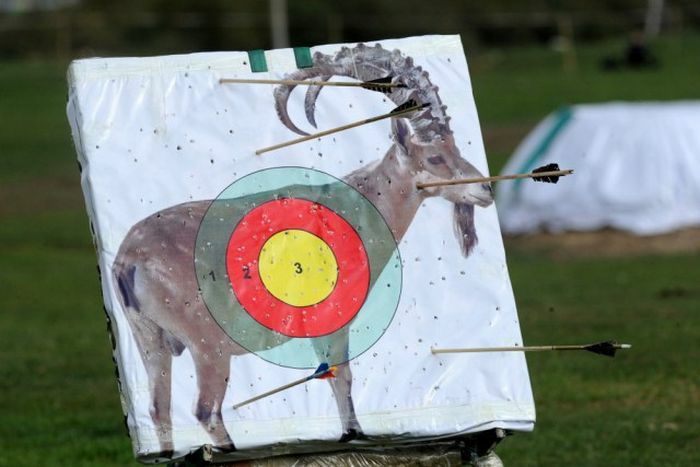 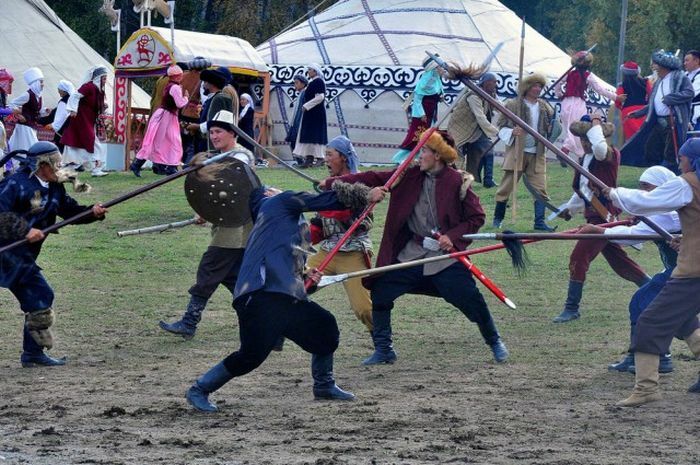 The event features sports such as wrestling, archery and eagle-hunting and everything kicks off with an insane opening ceremony. 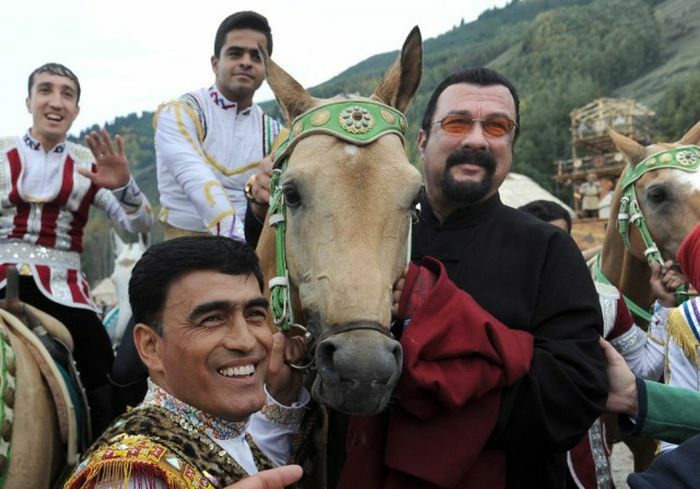 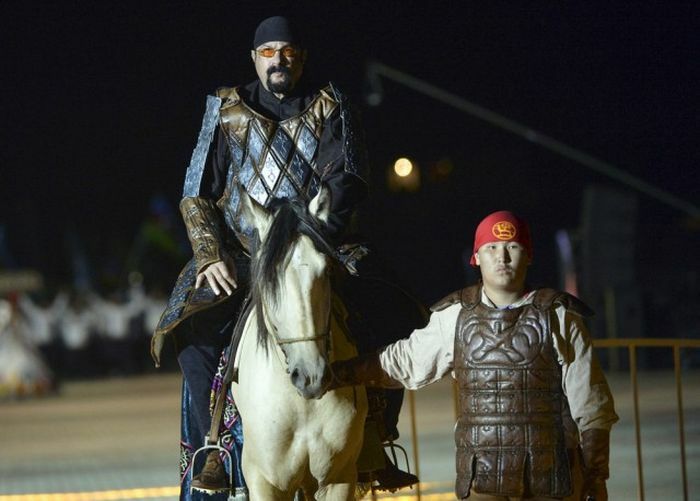 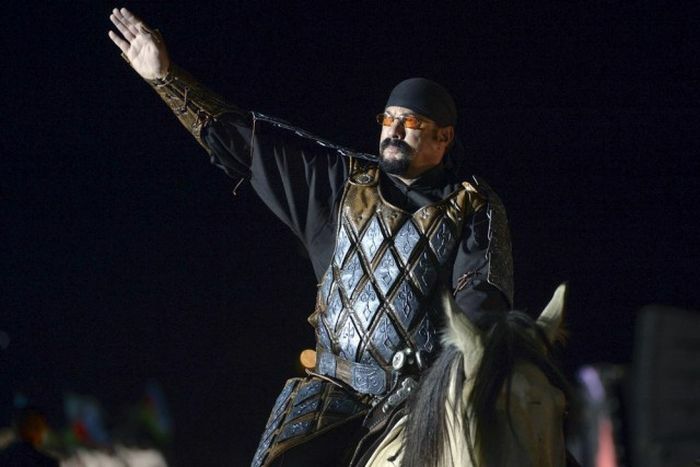 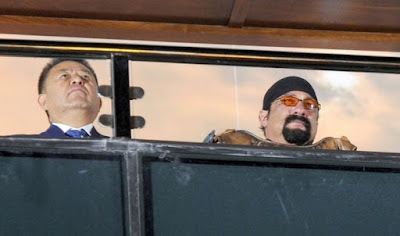 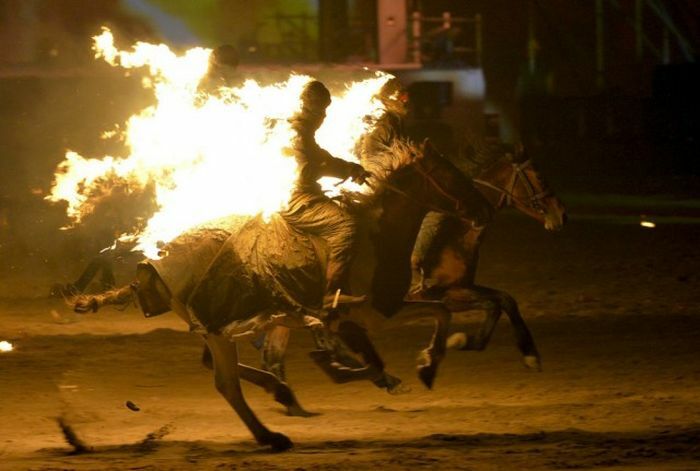 Steven Seagal attended this year's opening ceremony which also happened to feature flaming horsemen and some death defying stunts.